Hello! Quick post today. 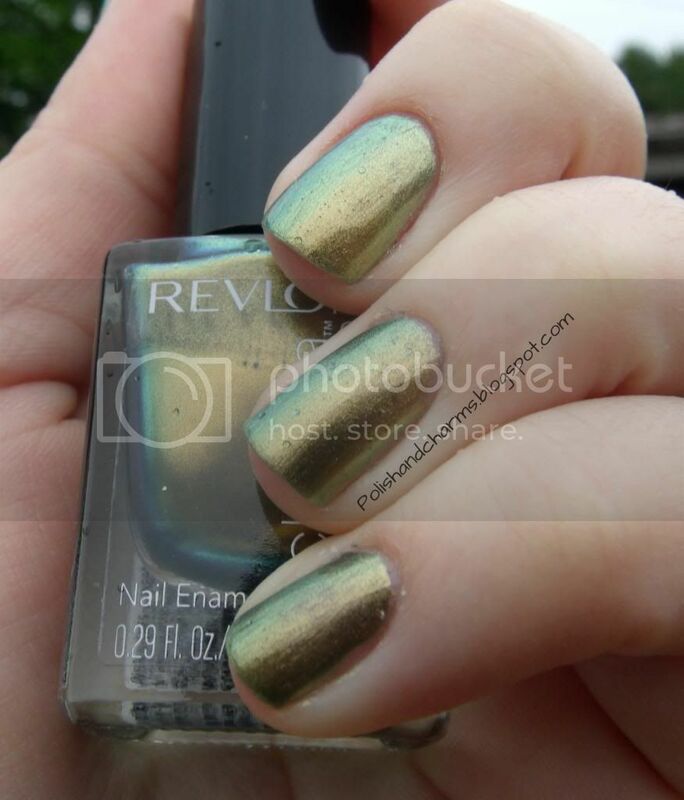 This is the other polish from the Revlon Chroma Chameleon Collection. Gold is a mix of green and gold and it's my favorite of the 2. The little drops you see are just rain drops, it was drizzling when I took these. The application was the same as Rose Quartz. Enjoy! So pretty. I saw this at the store and it wasn't impressive, but I love this on your nail! It looks so much better out of the bottle. Really really love this color!! Although it is a little odd that they came out with this color in the spring time lol!! This is really pretty! 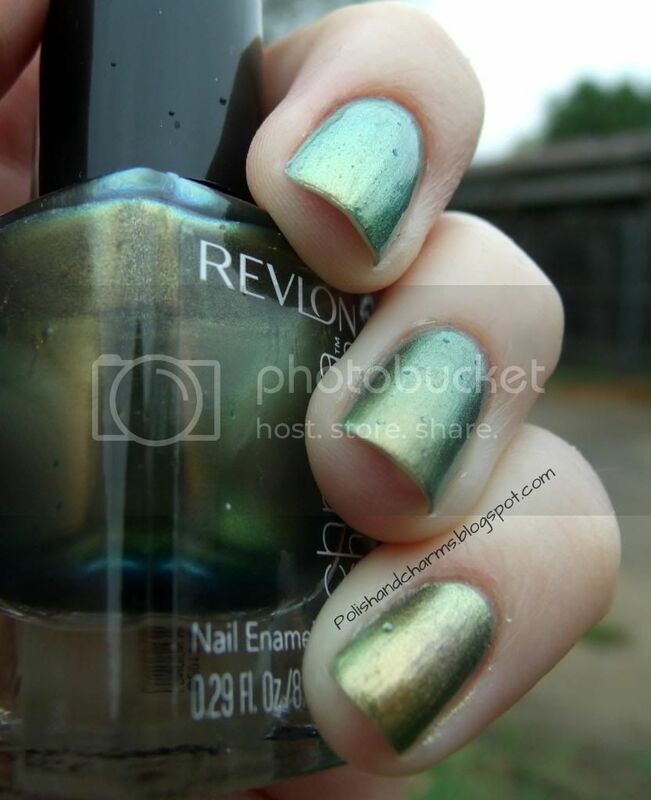 It reminds me of Rare and Radiant from ChG's New Bohemian collection! I am pretty sure it's a dupe! Also, GAP makes one just like it too! Yea, the whole collection was a little odd for spring! 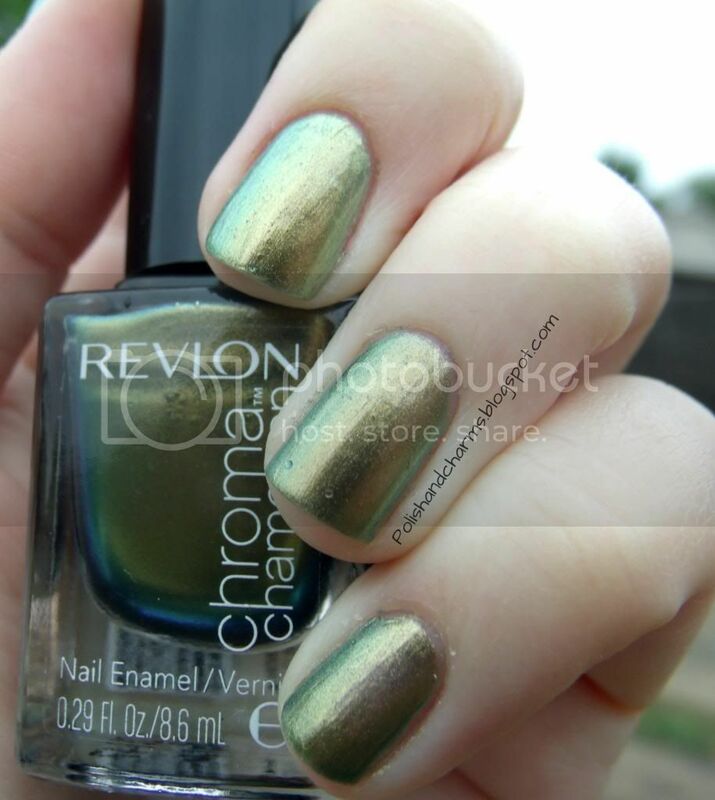 I think is very similar to all the Chanel Peridot colours. Isn't it ?